Do you love to play cards? Or do you just love the symbolism provided by the ace of spades, given that it is an iconic card in rock music, and show business in general? 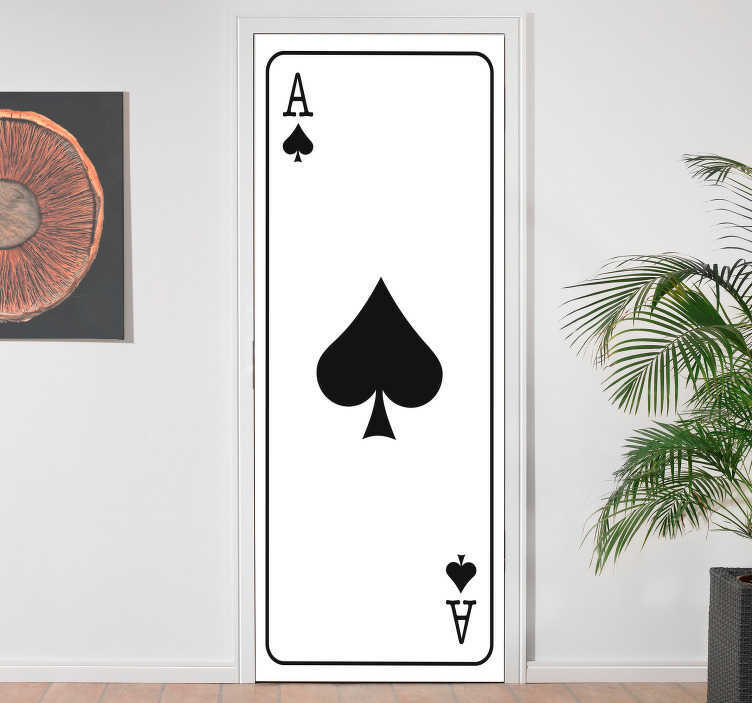 If the answer to either of those questions is yes, then you must surely consider this bedroom door decal, allowing you to turn your room into a shimmering playing card! This door sticker is easy to apply and leaves absolutely no damage or residue upon removal. Colour of the card can be changed on request, as can the suit and number.